"This move is just a small detail, but it displayed that when the time comes we can mobilise over ten thousand people. After all one of the lines of Russian propaganda is that Lithuanians, if they have yet to emigrate, would not defend anything. 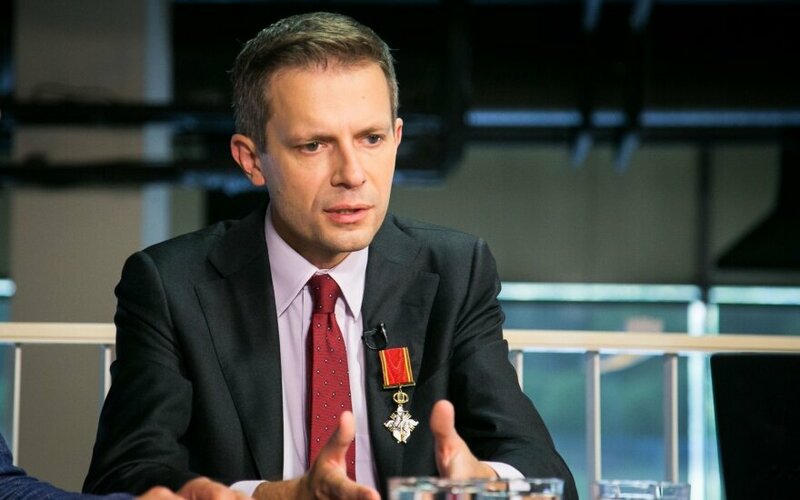 We can see that there are those who would," Andrius Tapinas said regarding the Russian Ministry of Foreign Affairs Facebook page being flooded by Lithuanians during the weekend. 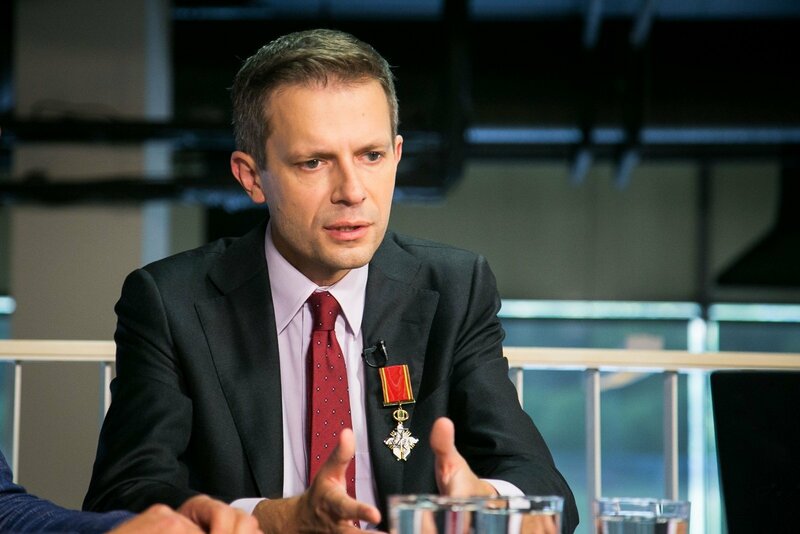 The Russian information war was discussed on the Dėmesio Centre show alongside analyst and public figure Andrius Tapinas and Vilnius University Institute of International Relations and Political Science political scientist dr. Nerijus Maliukevičius. N. Maliukevičius outlines that there is an important distinction in terms of disinformation. While there is judicial regulation when information spread breaches the norms of the law, as an example he notes the ban on broadcasts of certain Kremlin aligned television stations which encouraged violence. On the other hand he notes that when the propaganda is seemingly performed without directly breaching the law, creative responses are very important. Here Maliukevičius points out the case of the Ukrainian public which, faced with real and information warfare, united as a society and worked together to support the Ukrainian military. The political scientist views the Lithuanian "attack" on the Russian Foreign Ministry's Facebook profile over the lies it distributes as a similar case of public resistance, while showing mobilisation capacities that the Kremlin likely did not expect. A. Tapinas explains that the idea for such a move against the Russian Foreign Ministry's profile came about because, as he points out the ministry posted biased and clearly false infographics on a weekend, when it was unlikely anyone would respond. As official Lithuanian institutions made no response, Tapinas explains he had the idea to take initiative. The Lithuanian public was receptive of the initiative Tapinas had, based on the slogan "Kremlin, you will not rewrite our history." A number of actions were taken as part of the initiative. Firstly it was rating the ministry's Facebook profile, which went from 4.5 to 1 due to the rating of over ten thousand people. Since it is particularly difficult to recover ratings, the rating was removed altogether on Sunday evening. The second action was responding to the actual false post, which received 13 thousand responses of "Kremlin, you will not rewrite our history." N. Maliukevičius stresses that it is important that a public response occurs as well as an official one, when manipulation of history occurs as it did. He explains that the published false information was a response to the recent NATO video on Baltic resistance fighters. A. Tapinas is confident in the success of the initiative, noting that Lithuania often has to react and defend, but this time it was the opposite. Nevertheless, N. Maliukevičius stresses we must not get lost in the euphoria of information warfare. Overall A. Tapinas explains that we lack consistent work and perspective in combatting propaganda, particularly in working with minority groups in Lithuania. N. Maliukevičius echoes this, adding that there is need for not only alternative sources of energy, but also alternatives to the Kremlin's information monopoly and broadcasting in Russian and English. As far as the recent initiative is concerned, N. Maliukevičius points out we need not respond strongly to every single false claim made by Russian institutions, but the Lithuanian response in social media was visible even in a European context, putting Lithuania ahead of Latvia and Estonia in this regard.